FiGURE 3-5: Wind rose for Muskegon Coast Guard Station, Michigan, st 30 meters. An energy rose is obtained by separately averaging the cubes of all the wind speed readings from each of the sixteen directions. In Figure 3-6 is the energy rose for the same case as the previous wind rose. 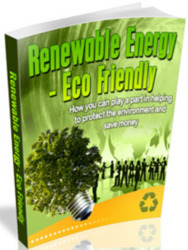 The length of each bar gives the percent of wind energy from each direction. Again the total length of the bars is 100 percent. Notice the differences between the wind and energy roses. While the wind blows from the northwest 11 percent of the time, it is responsible for 21 percent of the annual available wind energy. 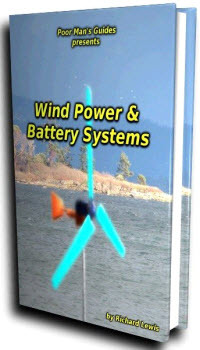 The battery capacity (or size of any other type of energy storage device) in a wind energy conversion system will depend partly on the typical length of time the wind speed remains too low to generate an adequate amount of power. This waiting time for the wind to return is called the return time. The following table gives an example of four cities in Kansas, where a calm day is one when a speed of 10 mph is not reached. As an example, ten times a year at Concordia, the return time is two days, and once a year, on an average, it is six days.